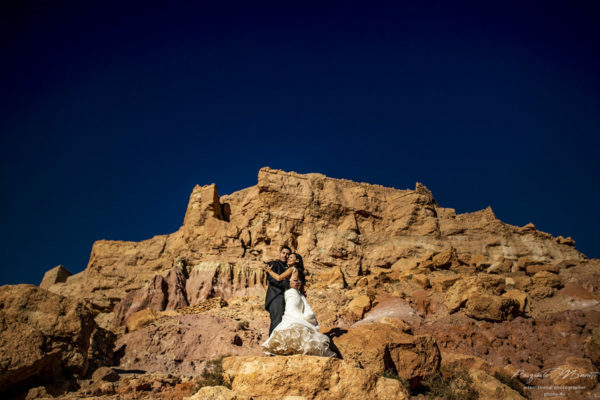 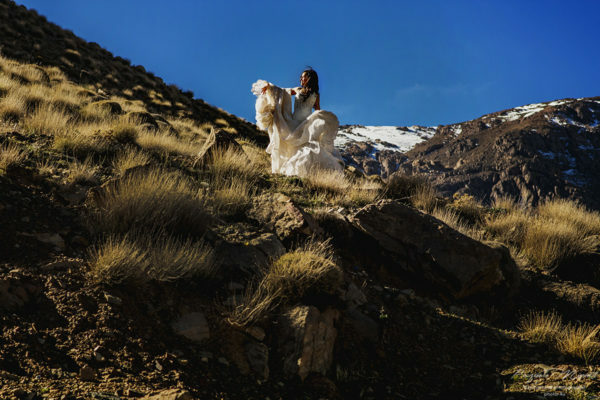 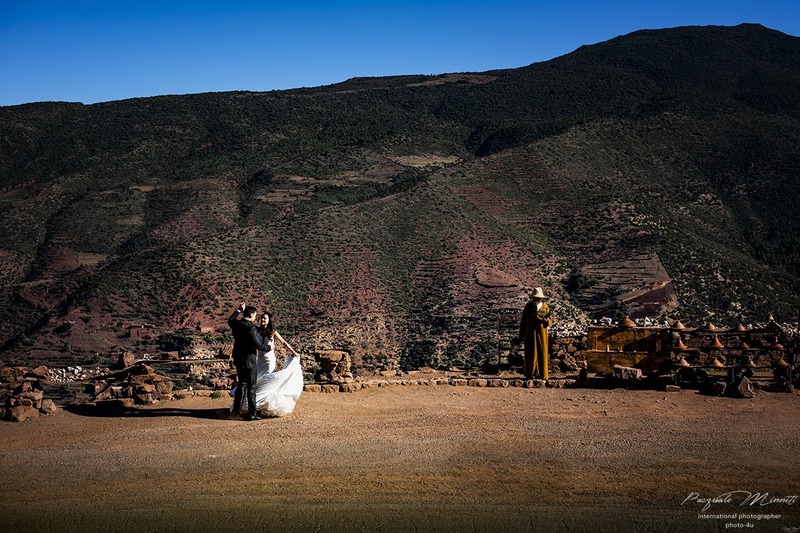 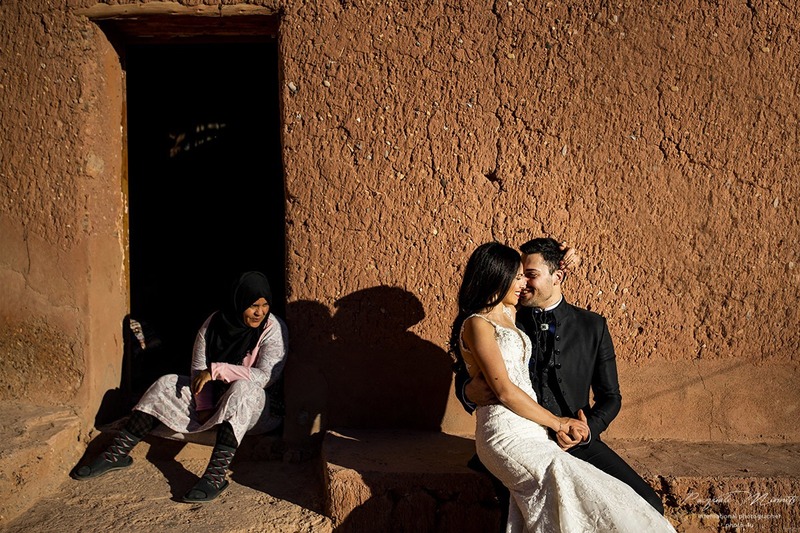 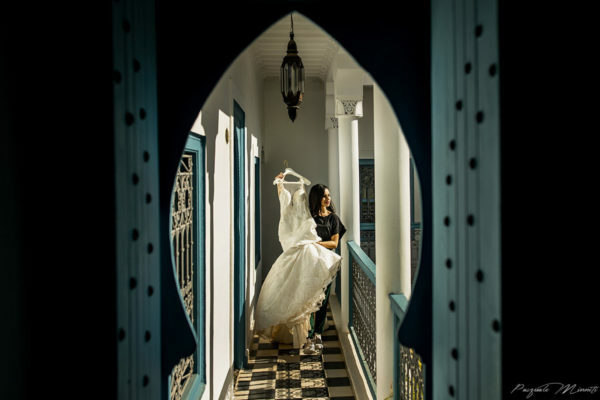 I remember very well that call from the bride who told me “Hi Pasquale, what do you think about making the photo shoot in Morocco !!! 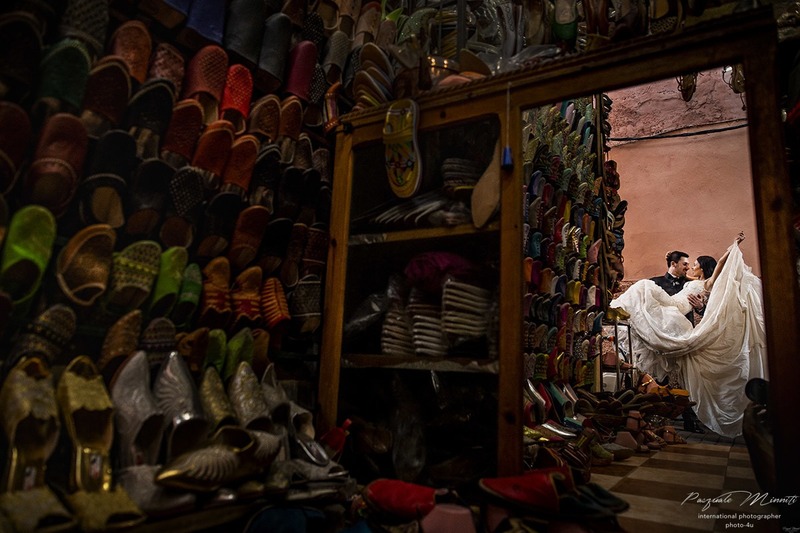 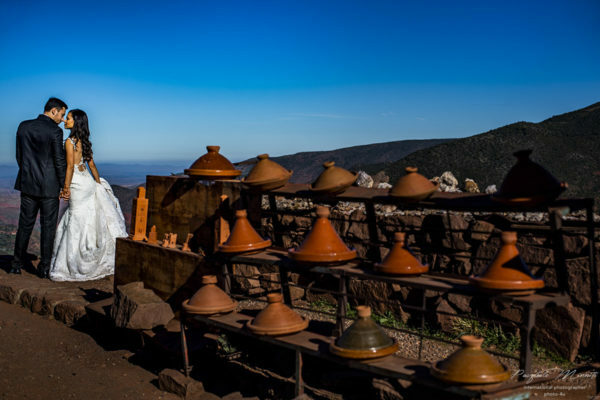 “You cannot imagine my joy, Morocco, a magical place wrapped in tractions, perfumes, color. A place where modernity merges with the past, creating a unique country of its kind. 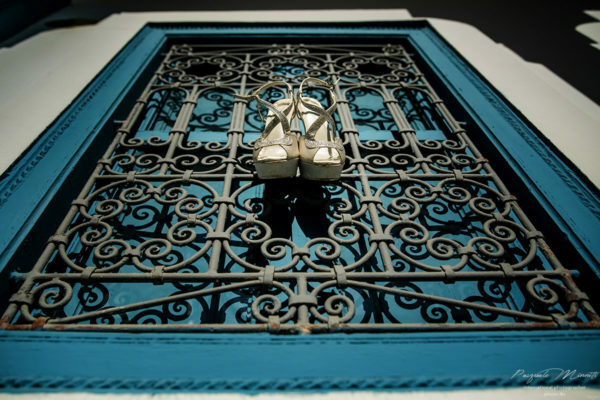 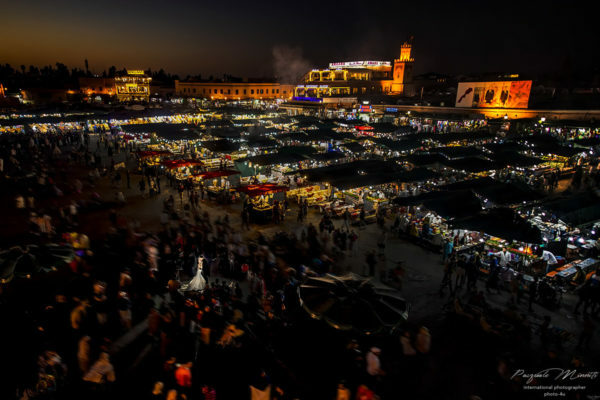 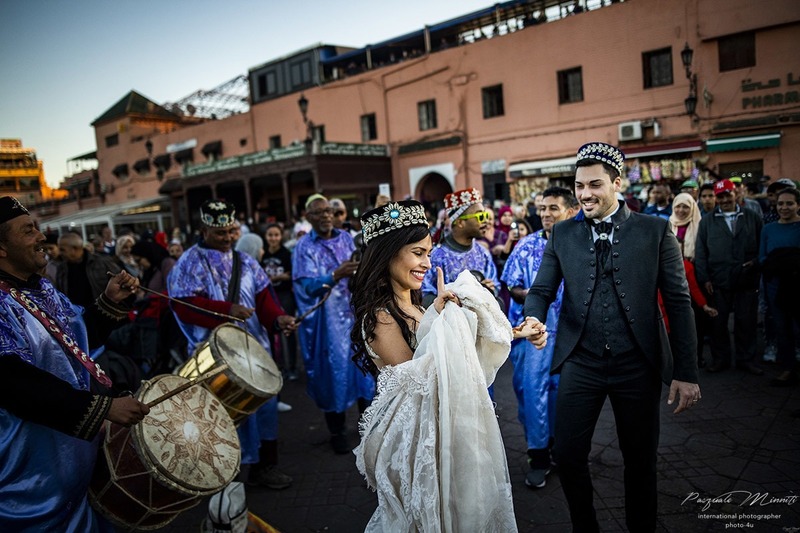 The spouses chose a fantastic city MARRAKECH, in the magical Riad Chamali, located in the Medina of the city. Although it was December the day, the climate was really hot and arid, the streets crowded with people and merchants who, with their colors and scents make the Medina a unique place in the world. 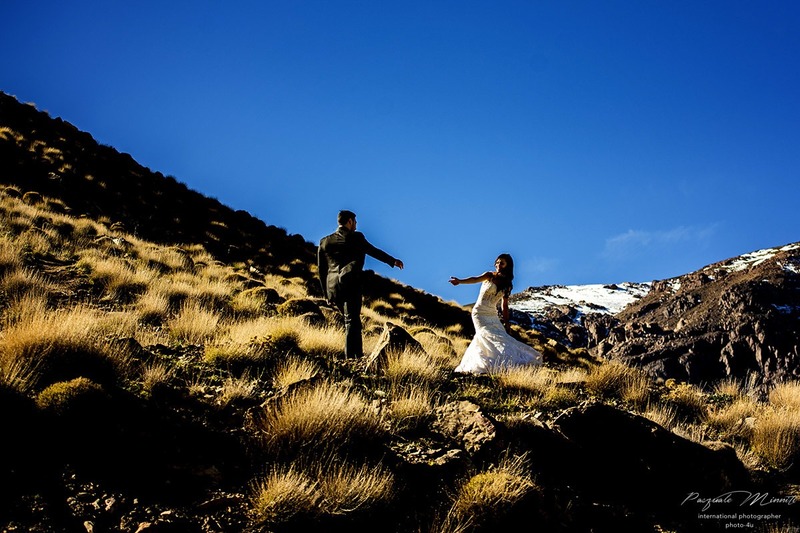 We arrived at the place a few days before the bride and groom, to view the places, and make a really special photo shoot. 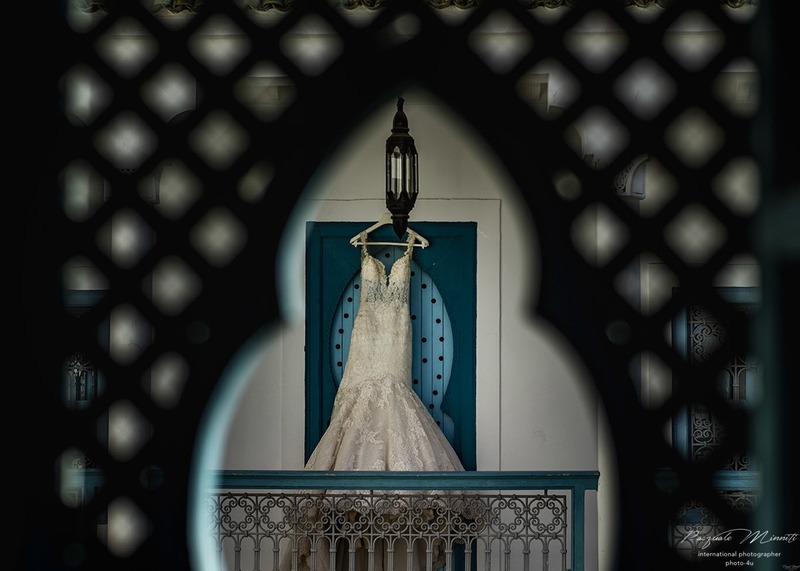 We knew well that it was not a classic wedding, made up of so many guests and friends, so we studied the place to perfection, to create simple but visually striking shots. 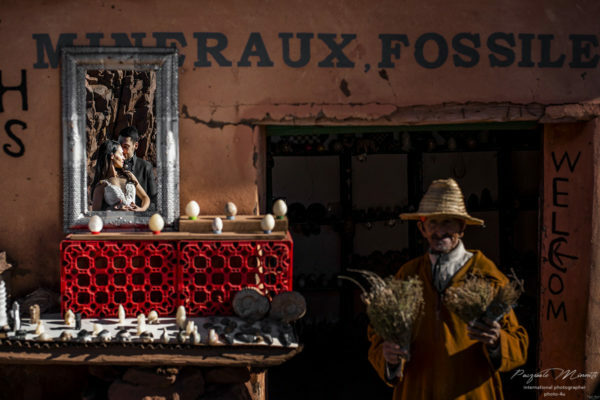 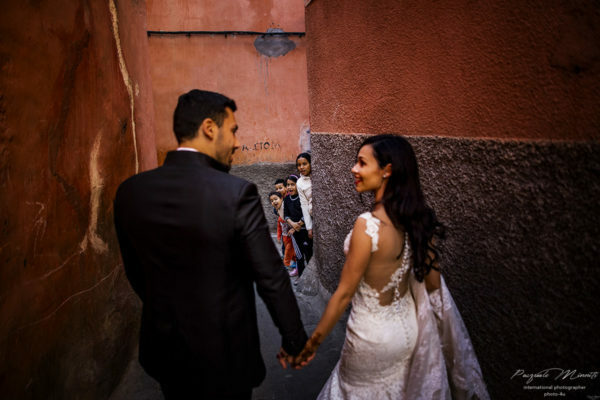 The bride and groom arrived a few days later and together we started touring the city, in a fun and friendly atmosphere, with smiles, spicy chicken and local beer. 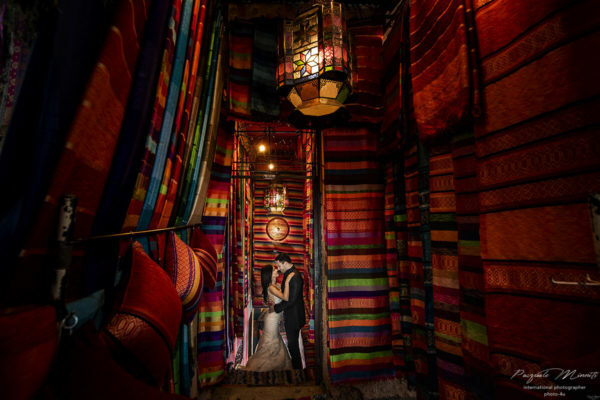 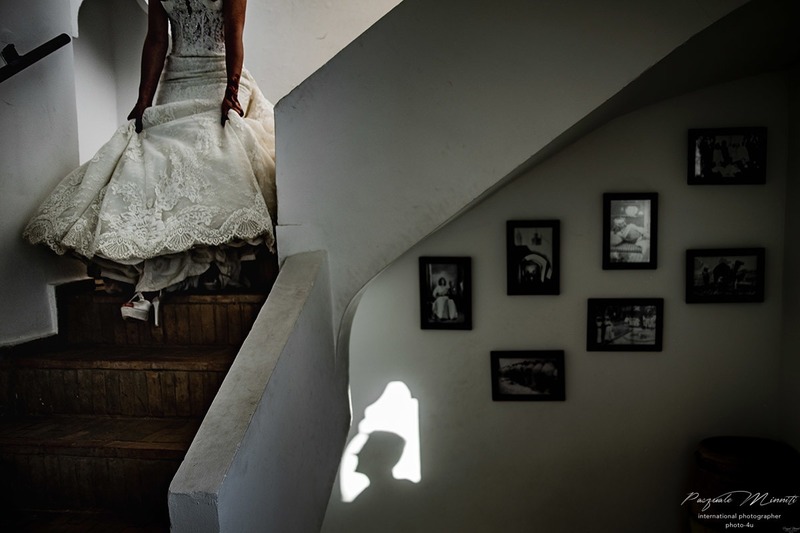 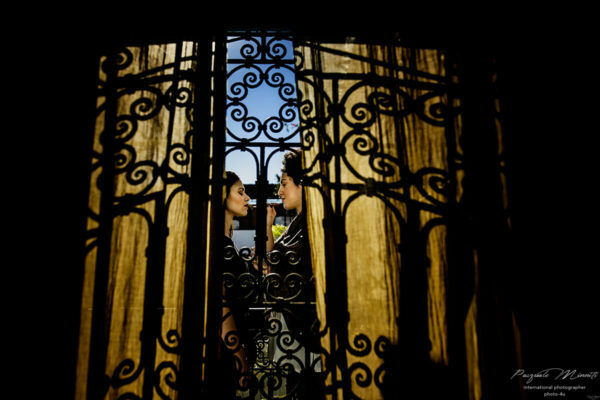 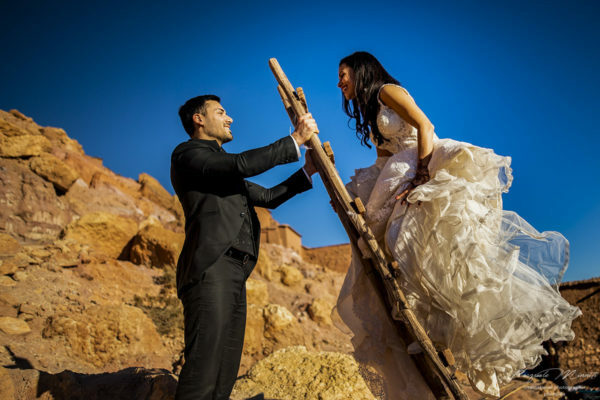 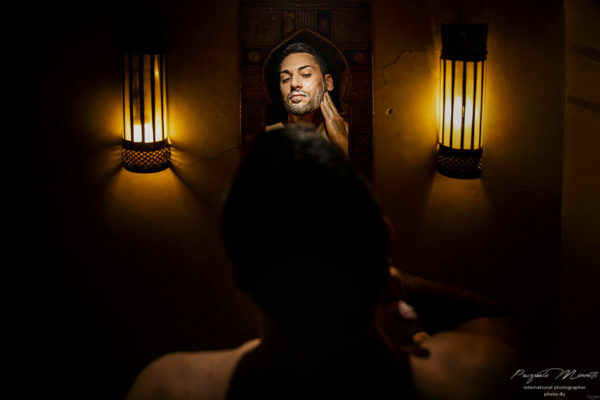 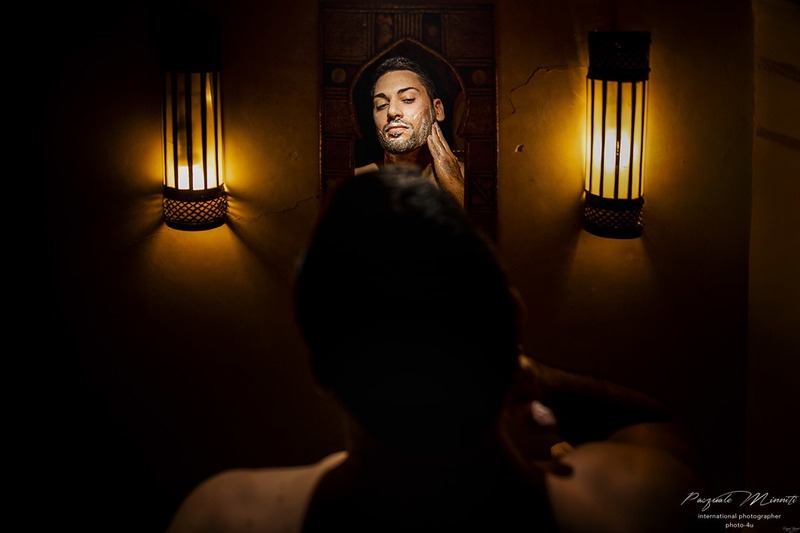 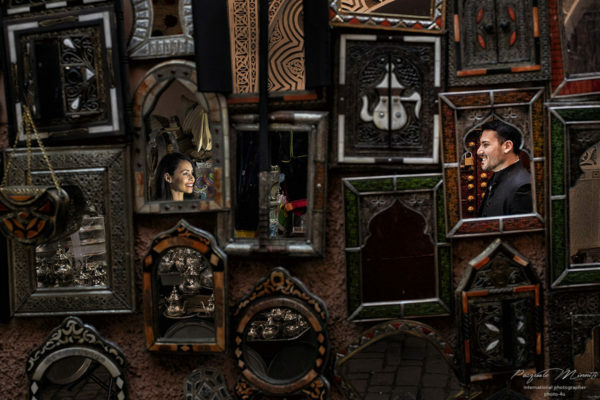 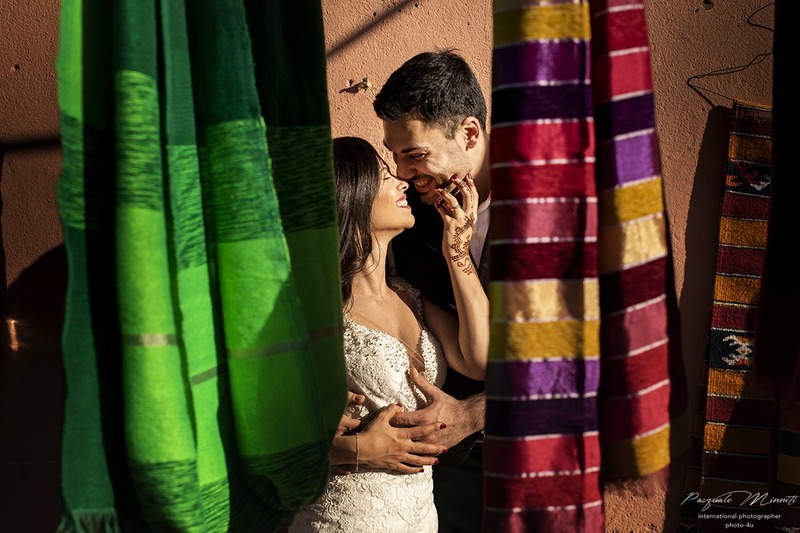 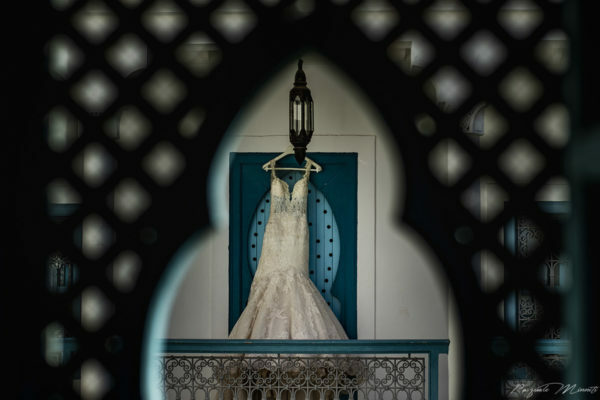 On the day of the photo shoot me and my life partner, Daniela, started photographing the bride and groom in the Chamali riad, located in the center of Marrakech. I chose to start in the hottest hours of the day because I wanted to take my pictures without using any flash. 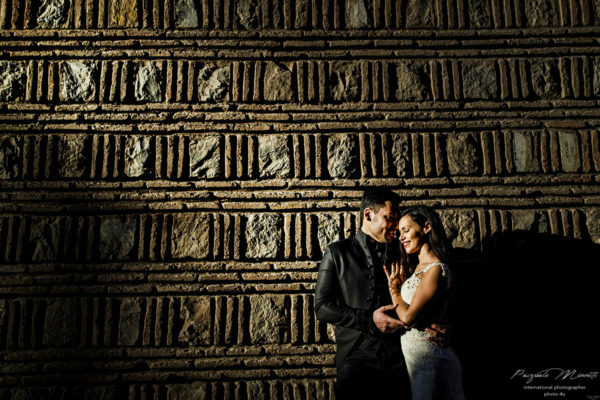 Armed only with my Nikon d5, I began a dynamic and fun-filled service. A special thanks go to our local guide, who accompanied us to truly magical places such as the ATLAS MOUNTAINS, a magical place where a desert merges, mixed with the snow that is the backdrop to the highest peaks. 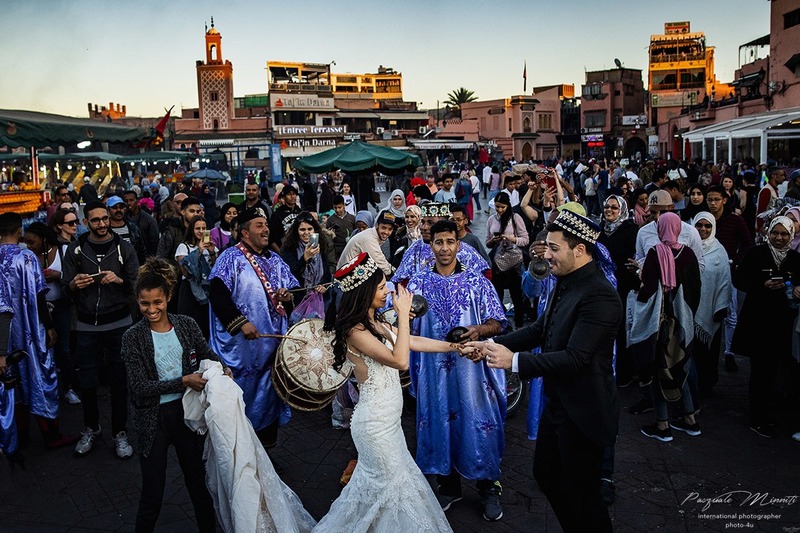 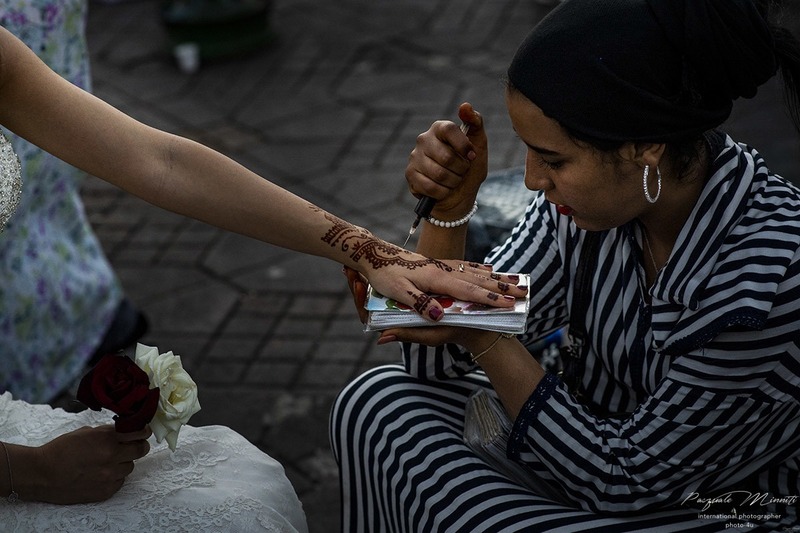 The second member of the service chose to perform it in the city center, among the alleys full of merchants, and curious people approached our bride. There have been 5 truly unique days that I will carry forever in my heart. 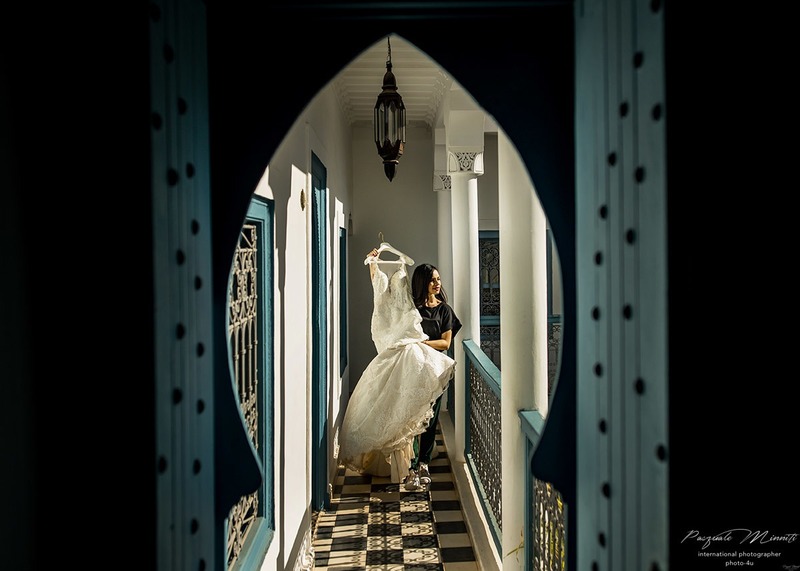 Fantastic days together with our spouses in their most beautiful day, crowning the dream of creating the photographic service in Morocco. 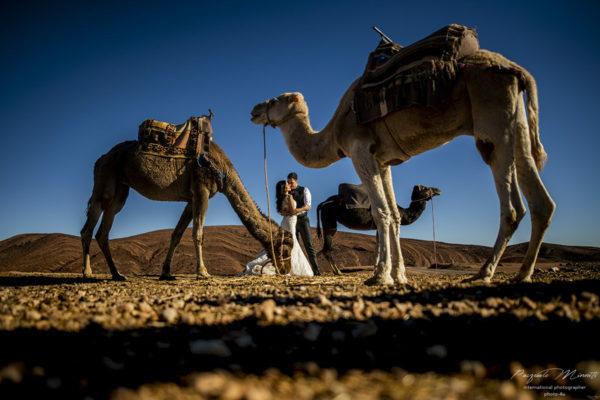 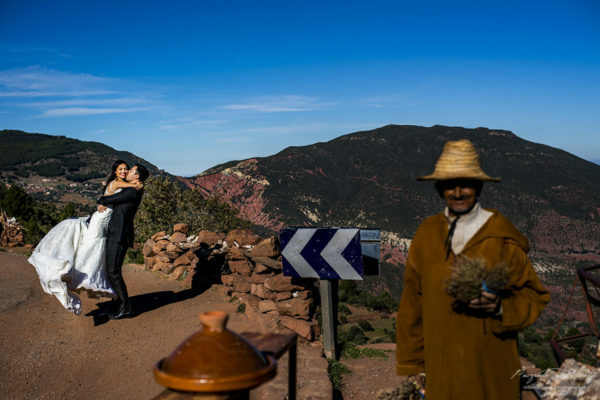 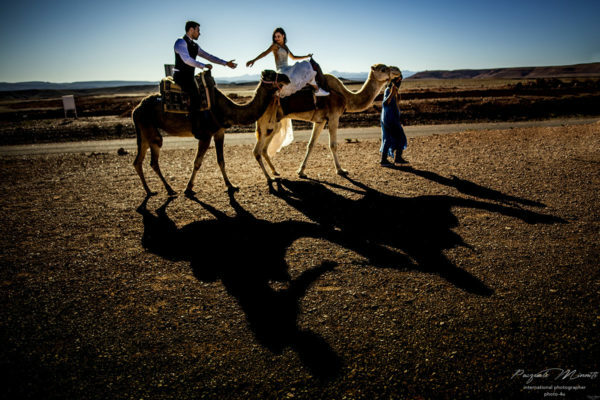 This destination wedding becomes part of our tour around the world, between different cultures and traditions.